Company’s Catalog and New Releases will be “Made-to-Order,” Just for You! LOS ANGELES (April 4, 2017) – XLrator Media — home of acclaimed genre labels Macabre (Horror), Turbo (Action/Adventure), LifeFrame (Documentaries), Pace (Multicultural Programming) and Bumper Car (Kids and Family) — announced a partnership with Allied Vaughn, a Minneapolis-based company specializing in MOD (manufactured on demand) DVD and Blu-ray, to make its new release and catalog titles available through many online retailers, such as Amazon.com, Walmart.com and BestBuy.com. XLrator Media’s first five offerings will be released on May 2, 2017 and consumers can pre-order them on DVD or Blu-ray from many of their favorite online shopping destinations. The slate of releases include THE CURSE OF SLEEPING BEAUTY, a dark new vision of the classic Brothers Grimm adventure; THE LAST HEIST, starring Henry Rollins in the story of a bank heist that descends into violent chaos when one of the hostages turns out to be a serial killer; CAMINO, about a war photographer on assignment in Colombia who ends up on the run fighting for her story and her life; PANDEMIC, about a virus of epic proportions which has overtaken the planet and a medical team which ventures out to find the remaining uninfected survivors in Los Angeles; and THE WINDMILL, about a group of tourists who awaken a mysterious evil during a trip through the Dutch countryside. XLrator has partnered with Allied Vaughn, developer of the industry standard for media manufacturing-on-demand. Their business is founded on the idea that as the physical media market matures, the traditional supply chain becomes less effective. MOD answers with a more efficient model to harvest sales from mature, emerging, and/or catalog content. Titles licensed to Allied Vaughn are digitally ingested, and set up so that physical DVD and Blu-ray are manufactured in response to specific consumer demand. Titles are never out of stock, with zero inventory and ship to customers, usually within one business day. “Allied Vaughn proved to be the solution we needed to service the segment of our consumer base that continues to buy and collect physical media. 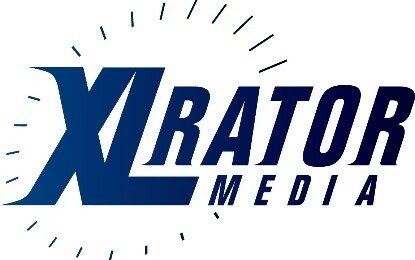 Their turn-key operation, and the reach they provide, will ensure fans of our labels will be able to own our programs on DVD or Blu-ray,” said XLrator Media CEO Barry Gordon. “XLrator Media represents the best quality genre films available on digital platforms today. We’re excited to bring these collectible films to consumers on DVD and Blu-ray on demand and always available for fans that love XLrator films,” said Allied Vaughn President Doug Olzenak.